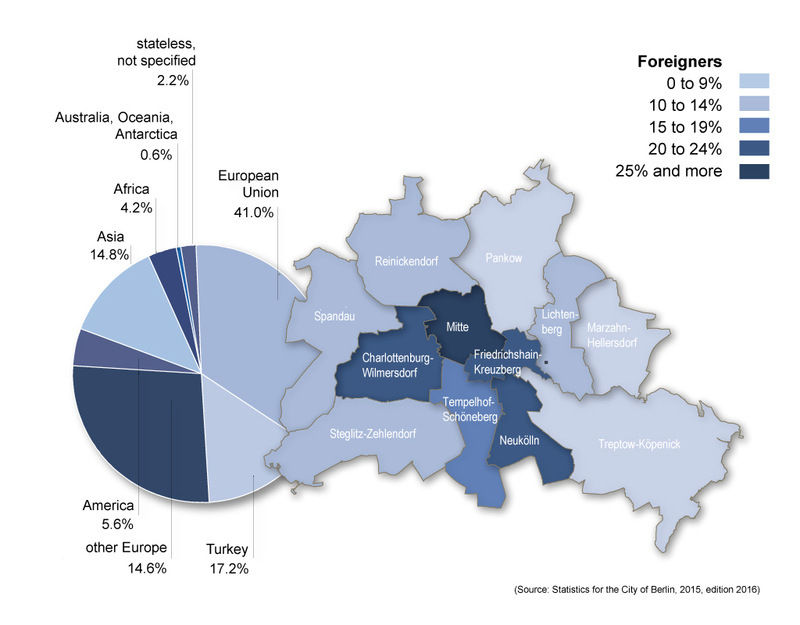 People from about 190 countries call Berlin home and make this city a truly international metropolis. In 2015, 114,000 persons came to Berlin from abroad, about a quarter of which have Syrian nationality. The share of people from foreign countries in the total population is 17.2 percent. Berlin is a cosmopolitan city with international educational and cultural institutions. Workers from western European industrial nations and the states of central and eastern Europe are migrating to Berlin.